So, late is better than never, right? 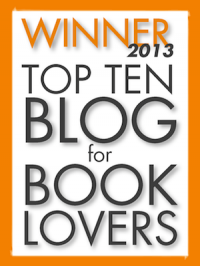 I was nominated for the Bookshelf Challenge by Meagan Briggs of The Empty Inkwell. 1) Is there a book that you really want to read but haven’t because you know that it’ll make you cry? I expect to cry over John J Dwyer's Robert E Lee, and after tearfully chewing through his War Between the States and Stonewall, I was definitely ready to take a break, but the main reason books get put off for me is because I am crazy busy. 2) Pick one book that helped introduce you to a new genre. John C Wright's The Golden Age introduced me to super-super-space-opera. It twisted my mind into pretzels and was highly enjoyable. Advisory: John C Wright is only recommended to mature readers. 3) Find a book that you want to reread. Just one? Persuasion by Jane Austen. From memory, one of my favourite Austens. 4) Is there a book series you read but wish that you hadn’t? There are a number, actually, but today I'll just admit to Francine Rivers's Mark of the Lion trilogy. To be fair, Mrs Rivers writes a gripping story with oodles of melodrama, fun historical detail, and an evident desire to please the Lord. All that aside, the books are about the most pressure-cooker-y romance novels I've ever read. While recently I've been coming to firmer convictions on what kind of romance is appropriate (hint: you can have my copy of Much Ado About Nothing when you pry it from my cold dead hands), there's still a line between appropriate and inappropriate. The Mark of the Lion is a sanctified bodice ripper. There, I said it. 5) If your house were burning down and all of your family and pets were safe, which book would you go back inside to save? Pendragon's Heir, because losing ten years' work would be horrible. If I had any more time, I'd add my Kobo and my treasured copy of Charles Williams's Taliessin Through Logres/The Region of the Summer Stars, because replacing it would be so difficult. 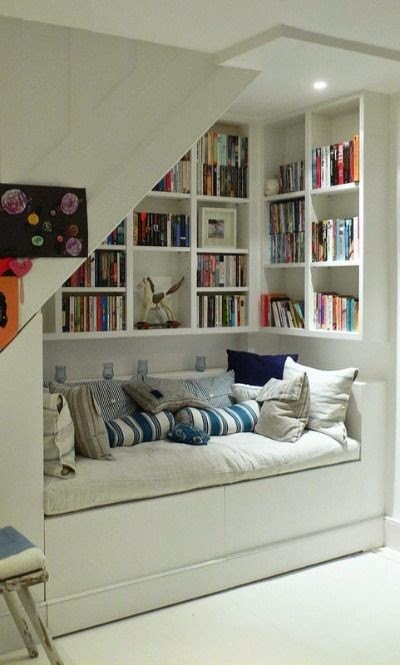 6) Is there one book on your bookshelf that brings back fond memories? Perelandra. I have a lot of memories, good and bad, of reading that book. 7) Find a book that has inspired you the most. Angels in the Architecture, Douglas Wilson and Douglas Jones. It more or less explains me. 8) Do you have any autographed books? Rural Australia doesn't grant the opportunity to meet famous authors all that much. Given that, I'm kind of surprised how many I have. Signed first editions of the 100 Cupboards series by ND Wilson, if you're counting authors I haven't met. Otherwise, George Grant kindly autographed a copy of The Micah Mandate for a very star-struck Australian traveller last year, and Anna Sofia and Elizabeth Botkin signed a copy of It's (Not That) Complicated for me around the same time. More recently, I became the proud owner of an autographed copy of Tasmanian author-illustrators Steve and Marion Isham's latest picture book Where The Platypus Sleeps. 9) Find the book that you have owned the longest. Oh. Wow. I wouldn't have a clue. There are books on my shelf that my parents have given me from the library we had growing up, and books that came from my grandparents' shelves, so maybe the absolutely-fallen-apart Pilgrim's Progress? 10) Is there a book by an author that you never imagined you would read or enjoy? Bleak House, by Charles Dickens. After being traumatised at an early age by Oliver Twist, I was surprised to enjoy that one. and anyone else who wants to join in. Let me know if you do! Cheers! It may surprise you to know that I've never been a great fan of John Milton's. I've tried, and failed, twice, to get all the way through Paradise Lost, and was rather put off to discover that Milton embraced the Arian heresy, seeing Christ as the first-created being rather than the eternal God Himself. However, a spot of heresy doesn't usually prevent me from enjoying a legitimately good book, and when I recently decided on a whim to read Comus, I was astonished how much I enjoyed the thing. Comus is a masque, maybe the first I've read. The masque was a presentation quite similar to a play, popular through the sixteenth and seventeenth centuries when Comus was written. One of the differences between a masque and a play was that a masque was a very courtly form of entertainment in which it was not unheard-of (as it would have been in the playhouses) for noblemen and noblewomen to take roles or participate in the songs and dances. The image of a wood has appeared often enough in English verse. It has indeed appeared so often that it has gathered a good deal of verse into itself; so that it has become a great forest where, with long leagues of changing green between them, strange episodes of poetry have taken place. Thus in one part there are lovers of a midsummer night, or by day a duke and his followers, and in another men behind branches so that the wood seems moving, and in another a girl separated from her two lordly young brothers, and in another a poet listening to a nightingale but rather dreaming richly of the grand art than there exploring it, and there are other inhabitants, belonging even more closely to the wood, dryads, fairies, an enchanter's rout. The forest itself has different names in different tongues--Westermain, Arden, Birnam, Broceliande; and in places there are separate trees named, such as that on the outskirts against which a young Northern poet saw a spectral wanderer leaning, or, in the unexplored centre of which only rumours reach even poetry, Igdrasil of one myth, or the Trees of Knowledge and Life of another. So that indeed the whole earth seems to become this one enormous forest, and our longest and most stable civilisations are only clearings in the midst of it. And that puts it in a nutshell, complete with a reference to Comus itself. To continue, the Lady is separated from her brothers and in looking for them, is captured by the enchanter Comus, who as the story goes, is the son of Bacchus and Circe from Greek myth, a minor deity of wine and lust. 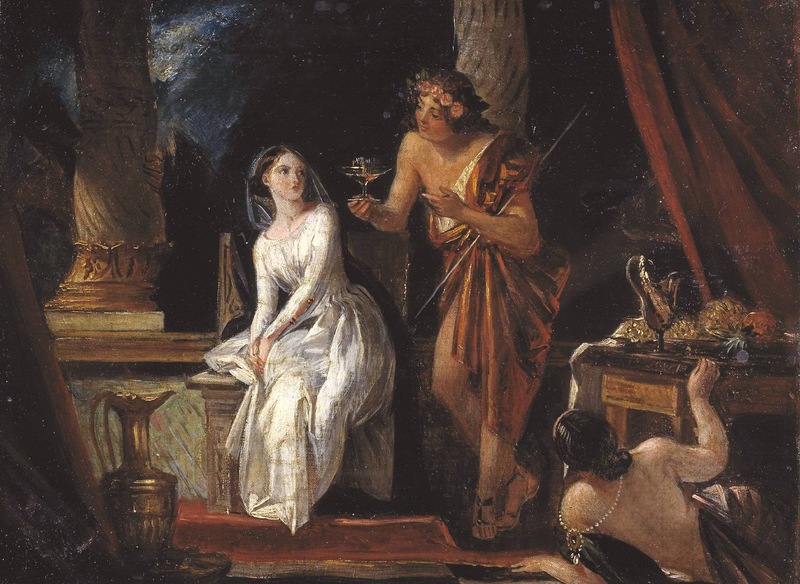 Comus attempts to talk the Lady into forsaking her morals, and the Lady, though unable to escape and waiting for rescue, continues to refute all of Comus's arguments. The milieu, in other words, does include gods and river-nymphs with powers of their own, but these creatures are imagined no less as subjects (whether obedient or rebellious) of the same God. I'm not sure if I'd write a story the same way, but when reading classic Christian literature like Comus, it can be helpful to remember that the presence of a few lowercase pagan-derived gods should not be taken as evidence of impiety on the author's part. As we see from this passage, even though it comes from the mouth of the villain, a clear distinction is drawn between God Himself and the created "gods" which, although they may have delegated power, take it for granted that all worship and glory belong to the High God. As you might infer from the fact that the villain is a god of wine and lust, the whole theme of the poem revolves around the virtue of temperance, which as I mentioned in my review of Book II of The Faerie Queene, was defined at this period in history as right behaviour in the physical world (analogous to and of course inseparable from holiness, which is right spiritual conduct). The war is waged in learned debate; anyone who hasn't been living under a rock his whole life will be unsurprised to find how little the arguments of people like Comus have changed in the last 380 years. Still, all the things he says are hollow sophistry; the Lady's counterarguments, by contrast, are both rational and devastating. One thing we might have a little more difficulty recognising is the poem's emphasis on the trained palate. After 250 years of Enlightenment humanism worshipping at the altar of the sweet innate goodness of humanity, all of us have the "follow your heart" mantra in our bones. To Milton, however, the natural appetites tend toward evil, making training, self-government, and discipline both necessary and beneficial. This is what CS Lewis talked about in The Abolition of Man--well-trained affections. Another of the benefits of a well-governed character: discipline in the face of danger, fear, or apprehension. This was one of my favourite things about this poem--as you'll be unsurprised to hear. I found the Lady an incredibly inspiring role model. She has complete calm and unassailable logic under pressure, combined with a total lack of feminist girl-power nonsense. Modern feminists will try to persuade you, surprisingly often, that women of previous years were regarded as little better than infants, expected to scream and faint at the least sign of danger. But the Lady's Brothers, though understandably concerned for her safety, are sure that she has the strength of mind to meet dangers with courage. As the plot demonstrates, they're quite right. Despite her courage, however, the Lady is quite in earnest a prisoner of Comus, unable to free herself; she is no omnicompetent action girl. On the other hand, the fact that the Lady is in dire need of a rescuer does not mean that she is without freewill or moral agency. Although physically she is in Comus's power, she is mentally and spiritually capable of resisting him: she is neither hoodwinked by his sophistries, nor enticed by his blandishments. In other words, Comus's Lady doesn't take the easy way out--she doesn't use duress and coercion as an excuse for wrongdoing. I really think this is a huge error made by a lot of our contemporaries: to assume that every woman in a difficult situation, under any kind of pressure or abuse, is somehow a spotless victim, robbed of all moral agency, and helpless to exercise her own reason, will, and responsibilities. I don't debate that this must be difficult to do; but sometimes it just is difficult to do the right thing. We have to do it anyway. And I don't know about you, but I find that requirement far more empowering than the notion that I could have no moral agency in a moment of coercion or duress. Lately I have come to meditate on the fact that the difference between a great book and a terrible book does not lie in how interesting, or sensational, or preposterous, the plot is. Down with the idea that a book, to be truly great, must be as dull as dishwater. Even a potboiler full of romance, war, and melodrama is capable of greatness if written with discipline and virtue--and give me that any day, rather than a book which never dares to be either profound or preposterous. 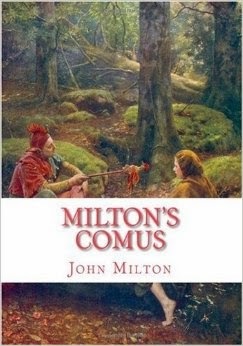 In Comus, Milton couches serious philosophy in a melodramatic tale of villainy versus chastity, and it's delightful. Compare that with the spy story I read recently about a genius art restorer superspy wending his respectable bourgeois way across Europe looking for stolen art. I think at one point he even drove a Volvo. And he didn't face the prospect of losing his immortal soul, not once. Pshaw, even Jane Austen wrote plots with higher stakes than that. Find Comus on Amazon, The Book Depository, or Project Gutenberg. 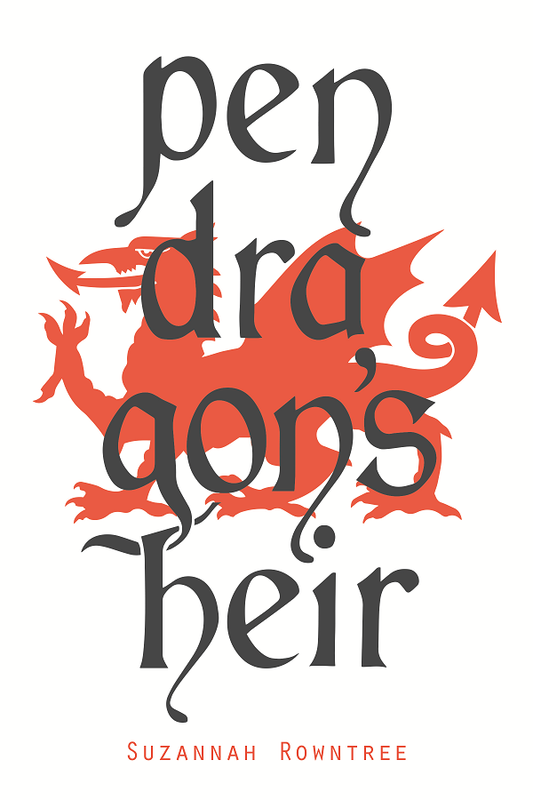 In case you missed it, a few weeks ago I announced my upcoming novel, Pendragon's Heir. At the moment I'm halfway through a stiff edit of the book, an exciting thing to be doing as always! She stared at the featureless iron and felt more keenly than ever the distance between them. Now. Now was the time to say what might be the last words he would ever hear from her. “No.” Nerys settled back on her footstool, her shoulders falling, her chin lifting. For a moment the veil rose: Blanche sensed a dignity so awful and majestic that she almost expected the footstool to splinter into diamond shards beneath its burden. And Mr Corbin took a sip of wine. Silence fell, as breathless as the space between lightning and thunder. Perceval saw the others slowly straightening to look at the Knight of Orkney. 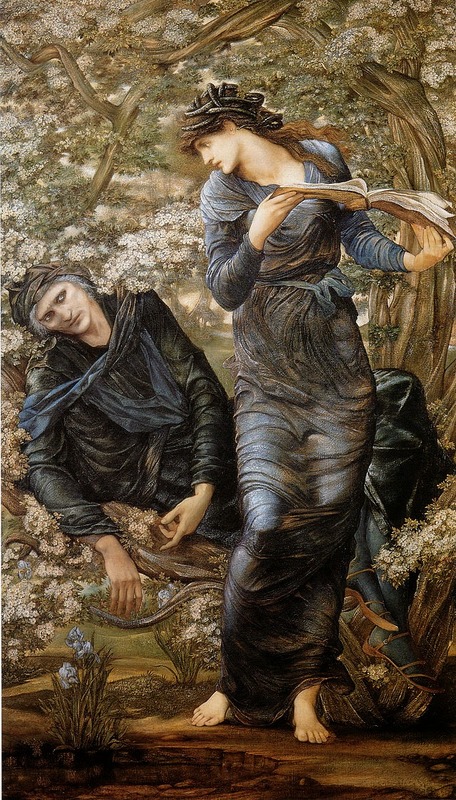 And again, although he searched for it, Perceval saw no trace of bitterness in Galahad’s eyes. “You were penitent, then,” Blanchefleur said, struggling not to show her loathing. But Elaine’s mouth tightened with resentment: in the flickering candlelight, Blanchefleur saw for the first time that there were deep stubborn lines scored from nose to mouth. ...The gilded knight snatched the cup from the Queen’s hand even while he spoke. And flung the wine in her face. “A fig for the Table,” the ruffian was shouting, with a laugh, over the uproar of shouts and falling chairs. Perceval saw the King say a word, and a lean grey shadow leaped from under his chair. The gilded knight vaulted to his horse as the hound sprang with bared teeth and straining red maw for his heels. Then the warhorse neighed and lashed out a hoof. The dog scrabbled uselessly across the floor: another heartbeat, and the gilded knight was gone with the drumming of hooves. Above it all the Queen of Britain stood still, wine dripping off her face, her mouth pressed shut in a white and wordless fury which swept impersonally across Perceval and all the people gathered in the hall before alighting on the King. 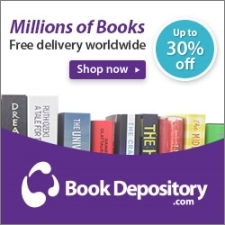 Over the fifty years since his father's death, Christopher Tolkien has made an immense body of work--some finished, some unfinished, some edited into a finished-ish form--available to the public, all of it painstakingly distilled from JRR Tolkien's papers. Without him, there would be no Silmarillion, no Unfinished Tales, and no Lays of Beleriand--none of which I can imagine living without! In more recent years, the Tolkiens have continued strong with the publication of The Children of Hurin, The Legend of Sigurd and Gudrun, The Fall of Arthur, and a recent prose translation of Beowulf. While reviews of Hurin and Sigurd will need to wait for another day (both are excellent books, and I thoroughly enjoyed both JRR Tolkien's Sigurd poem and Christopher Tolkien's scholarly and learned commentary, which is a great introduction to the Volsung legend's history and variations), I'm excited to bring you a somewhat thematically appropriate review of one of the latest Tolkiens, The Fall of Arthur. I have to say I never expected this to come to light. Tolkien, who wished to construct (in his Silmarillion) a myth for England, found the Matter of Britain inadequate to his purposes. The presence of a Christian backdrop to the Arthur legends dissatisfied him, not because he had any enmity with Christendom (on the contrary, he was always a devoted son of the church) but because his interest in myth was how it prefigured, rather than wove into, redemptive history. And so he pushed aside the Matter of Britain and attempted to construct a mythopoeic legend that embodied but did not occur against the backdrop of Christendom. So I assumed that Tolkien never had any use for the Arthurian legends. I was wrong. Another reason to assume that Tolkien would not have been particularly interested in Arthurian legend is that he was proudly and very eald-fashionedly English, in the sense of Anglo-Saxon, in his tastes, and there has always been something rather un-English, something definitely and distinctively Welsh-with-French-glosses, about the Matter of Britain. Insofar as Saxons ever do appear in the myths or retellings of the Arthur legends, they're the bad guys, fought off by the heroic Welsh or Roman Arthur. Of all the medieval Arthurian legends, a good deal are in Latin, French, and even German, by comparison to the few authors--Brut, Wace, Layamon, and Malory--who wrote in English (and Malory is always adding, "as the French book telleth" to his tale). The exception seems to be an intensely English, and largely overlooked pair of Middle English alliterative poems that hark back, stylistically, to Anglo-Saxon alliterative verse like Beowulf or--if you've read The Lord of the Rings at all, the Rohir poetry (which itself is occasionally cribbed from original Anglo-Saxon poems like The Wanderer)--"Where now is the horse and the rider? Where is the horn that was blowing?/Where is the helm and the hauberk, and the bright hair flowing?" One of these old-fashioned Middle-English alliterative poems, Sir Gawain and the Green Knight, a rattling good yarn, was translated into modern English by JRR Tolkien and published during his lifetime. The other, known commonly as "the alliterative Morte," is less well-known to history since it has more in common with the pseudo-history of Geoffrey of Monmouth than with the more courtly and congenial French romances of Chretien de Troyes. Lots of fellows being split from the nave to the chaps, and not so much courtly knight-errantry in the twisted woods. Which brings us to Tolkien's Fall of Arthur, a fragment little more than 4 cantos long, written alliteratively in the style of these Middle-English poems and apparently based on the alliterative Morte with a few influences from the French romances, such as the addition of the guilty love of Lancelot and Guinever. Please. It's JRR Tolkien writing an epic verse retelling of the Arthur myth, taking a good deal of inspiration from obscure sources and adding his own neat twists. Imagine one of your favourite authors writing fanfiction for one of your favourite books. That's what makes The Fall of Arthur a treat for fans of both Tolkien and Arthur. In addition, there are repetitions and chiasms in the structure of the poem that give it an odd and mesmerising power. But it's the characters that I most admired. defence and fortress of a falling world. walls uprearing against the wild peoples. The only thing that's not awesome about The Fall of Arthur? The fact that it ends almost before it's gotten underway. A tragedy! Accompanying the poem fragment are plenteous notes, and also three essays by Christopher Tolkien examining first, the poem's place in the larger Arthurian tradition (very interesting to Arthur nerds), second, the poem's relation to Tolkien's larger mythos (very interesting to Tolkien nerds, especially considering the remarkable link between the Arthurian Avalon and Middle-Earth's Tol Eressea/Avallone), and third, some commentary on the history of the composition of the poem (very distressing to authors who can't slap down glorious epic alliterative verse more or less on command). Finally, there's a brief essay on Old English alliterative verse, a sort of whirlwind tour of the artform. All these are very interesting, if not quite as informative as the commentary on Sigurd and Gudrun. 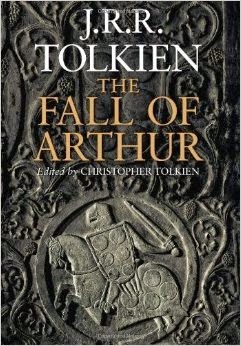 Sadly, The Fall of Arthur will probably only appeal to that niche audience with an intersecting interest in Tolkien, Arthurian legend, and Old English alliterative verse. But if any of these things appeals to you, you're going to love The Fall of Arthur. Find The Fall of Arthur on Amazon or The Book Depository. One of the things I do from time to time is light out and spend a few weeks (even, sometimes, months) staying with friends to help out in times of need. That's what I'm up to for the next 3 weeks, and I don't mind, actually, since it gives me the excuse to post one of my current favourite poems! I never knew Dorothy Sayers wrote poetry until I went trawling through the University of Rochester's Camelot Project, an extremely useful resource on Arthurian legend. (If you're wondering what such a webpage would be useful for, the short answer is: I'm writing a novel). Here I found two poems by Sayers from a book of poems published in 1916, both inspired by Arthurian myth and both extremely evocative. This is the one I liked best. A beach of glittering gold behind. And knocking hard on the window-pane! Of Breunor, Breuse or Agravaine. And many a mighty warrior more. Dance, cheated of their memories. Shall hasten greatly to begone. Blown by the wind across the furze. Behold the ship of hallowing. Or white Iseult of Brittany.